The FOCUS is always on YOU! Enjoy the relaxed elegance of the Opening Gala Event. this happens only at the ISIS Papyrus Open House! Get the Brochure (PDF) Register Now! We are preparing for one of our most interesting and exciting Open House and User Conferences in 2019. Continuous change shapes our information technology world. That change comes from both the progress in technology but equally from a change in the business environment. Businesses are faced with the fact that the demands on security and privacy, a switch to mobile technology, augmentation of human skills and continuous availability in time and space have exploded. Further changes in the use, location and skill of the workforce and the dynamics of economy and regulation have made planning for information technology a massive challenge. It has become of utmost importance to employ a strategy that will give the business both the necessary stability and security in their transaction processing and record keeping while providing a substantial upgrade in flexibility and adaptability in user and customer interaction. The biggest issue for most businesses has been to achieve that level of integration. We will demonstrate and explain how all the industry-leading content and process services of the Papyrus Platform are integrated within both ACM and Papyrus Converse, providing state-of-the-art user front-ends on PC, browser and Mobile. We will show how machine learning capabilites of the User-Trained Agent provides the utmost in flexibility and process optimisation. Learn how unstructured incoming content or messages can trigger the right process for the right organisation while extracting essential data. As you can see the ISIS Papyrus OpenHouse and User Conference should not be missed to stay on the forefront of technology. Our Management Circle Seminars provide essential knowledge sharing on an executive level. Our hands-on labs allow the technical experts to check out the functionality in detail. It is always a gathering of experts and visionary minds. We want to invite you to join us and be part of this great event. Digital business transformation is a key initiative for many organizations. With a well-defined plan, agility and a powerful digital software platform with support for RPA and AI, organizations can introduce a new business model that offers Omni-channel engagement, enhanced customer experience (CX) and streamlined operations. The Papyrus digital platform innovation is addressing true digital transformation of the entire business operations, irreversibly changing the way how companies interact with clients and employees to run the business more productively, efficiently and profitably. Customers use today three or more channels when contacting companies. 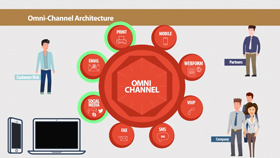 This requires a new communication model that will go beyond disconnected channels to offer seamless Omni-channel engagement across channels with a real-time back-office integration for quality of service and enhanced customer experience. The consistency of conversation is ensured through all communication linked to a customer case across the entire customer journey. Training machines to recognize documents and messages while continuously optimizing information capture is a remarkable technology that can immensely increase efficiency. But what really improves business capability is a process solution that learns over time what your knowledge workers do when processing a case – when a certain document arrives, a particular state is recognized or when an exception is encountered. Digitizing and intelligently extracting data from incoming e-mails, PDFs, scans, fax and messages in structured and unstructured formats, including handwritten information is a key strength of Papyrus Capture. The stateof- the-art, self-learning classification process and machine learning utilize pattern recognition to increase accuracy and efficiency of data capture. Smart document design by business teams and IT leveraging the holistic “One platform approach” allows companies to set new standards in communication with their clients and achieve significant gains in efficiency and business agility. Document layouts and building blocks are created only once and re-used across document applications and across templates for delivery via e-mail/HTML, Mobile, Web, PDF and AFP print – achieving efficiency, CI/CD, precision and quality. Integrated versioning, change and release management allow business teams to sign-off and deploy document changes at any point in time without waiting for a next general release. Papyrus applications can run as native applications on all leading mobile devices in support of Enterprise Mobility. 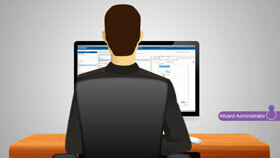 Users are able to communicate, take actions, track events, send requests and receive notifications with a direct back-office connectivity and smooth interactions with existing CRM, BPM, ERP and database systems even when out of the office. Communication is delivered to each individual in their preferred language and channels of communication - Web, e-mail, Chat, SMS, Social, Mobile or paper, with a transformation to the specific channel only at delivery time for utmost channel independence. Tracking, tracing and monitoring of all jobs, starting with receiving the data and completing with archiving of documents with a feedback loop and notifications are key capabilities. All channels are presented in a unified view to understand which communication has taken place via which channels (inbound & outbound), even when crossing channels in parallel conversations. Monitoring and reporting tools provide evidence that communications get delivered in a timely manner and help identify problems at the earliest point in a conversation. Doing business online is of critical importance for your organization’s existence and connects you fast and conveniently to customers, prospects and partners. Online channel services can be fully managed by business teams and offered via Wizard-assisted Webforms for customer self-service through your Website or mobile app directly linked to your back office for operational support. puts people at the center of a process and allows them to intervene and apply their judgment and expertise to adapt to concrete business situations and create exactly what they need, when they need it to achieve the best possible outcomes. In ACM, business users can DESIGN while they EXECUTE. The focus lies on Digital Transformation, Customer Experience (CX) and Business Empowerment with a 360° view of the customer – positioning companies to interact with customers and partners as ‘one company - one voice’. Easy access to all documents and content plays a key role in boosting productivity of knowledge workers in sales and customer service. Organizations need to bridge the silos and provide intelligent content services with unified content and processes within a business context to employees across enterprise teams – from anywhere to anywhere - to effectively connect, collaborate, up-sell, cross-sell and work on one single version of truth. The way to Customer Engagement Excellence Most customer service solutions cannot keep up with today’s customer engagement requirements, as customers want to experience fast response to their inquiries or reported issues using preferred channel of communication. Papyrus Ticketing serves as a new system of engagement across a number of departments, helping companies increase employee productivity and deliver top-notch service for enhanced customer satisfaction. Get Your Ideas To Execution Faster Organizations have a huge backlog in delivering digital business solutions – IT does not have the resources; professional services are associated with huge costs, and lengthy project implementations often lead to further shortage of IT staff and prevent modernization. Organizations thus need a new innovative approach that empowers the Business to model their ‘value streams’ with detailed processes and rules. 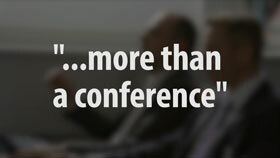 "An interesting and very productive conference. Personal interaction can really not be replaced." Continuous change shapes our information technology world. It is no longer driven from inside a business but instead pushed and shoved by consumers and governments. That push comes from the progress in technology and the shove from a change in the business environment and governments. You are faced with the fact that the demands on security and privacy, a switch to mobile technology, augmentation of human skills and continuous availability in time and space have exploded. It has become of utmost importance to employ a strategy that will give the business both the necessary stability and security in their transaction processing and record keeping while providing a substantial upgrade in flexibility and adaptability in user and customer interaction. Excellence in Omni-channel support is the ultimate goal in achieving an outstanding customer experience. 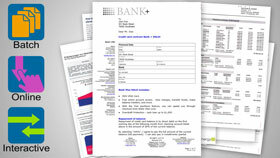 A strategy for designing documents for print and digital, achieving a ‘One Company - One Voice’ customer communication. Powerful Postprocessing capabilities and the Automated Document Factory help you to move beyond disconnected multi-channel communications and lets you control your print and e-delivery operations. A ticket can be a reported issue, a question, an inquiry, a defect or a change request processed over a period of time to achieve a solution or any other type of complex activity before being ‘completed.’ The out-of-the box Papyrus Ticketing framework is fast to implement, adaptable and configurable, and unlike alternatives provides your customer with the Omni-channel communication experience. Rather than having multiple, custom-built systems that deal with content – ingestion, analysis, processing and generation; this company is taking the approach to consolidate in order to reduce the internal efforts to develop content-centric processes, while presenting a more seamless customer experience across multiple channels. This is particularly important for personalized outbound documents, whether transactional (e.g., statements/invoices), ad hoc (online presentment), or as the result of a business interaction (e.g. targeted message, campaign), since the customer needs to be able to receive the same information, regardless of which interaction channel they choose. Manage all your inbound channels by one single definition and by events, routing mail through the steps of classification, recognition and data extraction to validation and distribution to users in different departments. The realization of E-Invoicing has become an important topic around the world. With new government initiatives ahead, a diversity of challenges need to be faced and E-Invoicing is being implemented at a very fast pace in order for governments and companies to benefit from significant cost savings and to enhance compliance. Taking into account this global roll-out, the market demands for a platform to exchange best practices, new ideas and opinions on E-Invoicing as well as topics that go beyond. The ‘Mobile workplace’ business initiatives reflect a growing reliance on smartphones and tablets. Learn about best practices for going mobile, plus real-world success stories and cautionary tales. Which business segments benefit most from a mobile application? Simplified integration, interoperability and connectivity asks for a SOA handshake integration agreement – platform independent and loosely coupled between the enterprise business application and the Papyrus platform. A Website or Mobile device provides public access as an integrated part of the whole Omni-channel network and is directly linked with operational users performing Adaptive Case Management. Experience a new “dual-level approach” with a process-driven working style. RELI-Ability allows users to access intelligent workflows, superior data capture capabilities, rich reporting and simplified integration, all Out-of-the-Box with no coding ever. The powerful RELIAbility Platform was build in less than 3 month. Adaptive Case Management – Building your Value Streams! See the full range from straight-through processes through dynamic processes to completely unstructured processes driven by rules and ad-hoc content arrival, such as scans, e-mails, PDFs, and mobile content. 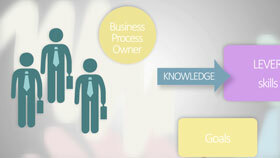 Knowledge workers need all information at their fingertips when processing a case. Customer service and call centers must find, view, send and possibly resend information. WebPortal access to documents and e-mail utilizes the short-term archive to control and monitor real-time, responsive communications with back-office user integration. Experience a mind-shift. Papyrus Converse brings a whole new perspective on how to externalize business knowledge and implement ‘value streams’ that are smart and adaptive. Papyrus Converse uses a new method to define, plan and execute ‘value streams’ that are governed and described within the business architecture based on business language. Business rules are critical to guide the effort of users toward objectives and reduce risk by ensuring compliance. Business runs on content and communications. Organizations are at various stages of their path to digital transformation – but one point is clear ... digital business requires automation, better use of data, and eliminating manual processes. Extracting value and insights from content will be key to digital maturity. Customer needs change quickly! A change in customer behavior, new technologies and growing compliance are the new accelerators of the customer engagement management. Multi-channel strategies characterize the personalized and individualized communication and sales strategies. Customers are hybrid, the digital communication is in the foreground. For this purpose new technologies open up new opportunities. How does Fondsdepot Bank handle these challenges? Creative business teams plan a campaign that stretch across multiple channels. They create the marketing content as text, image or video building blocks and define rules for including such content into highly personalized data-driven business correspondence per e-mail and paper. and connects discussions in a relaxing atmosphere. This seminar is dedicated to enterprise management and directors who like to exchange experience and ideas with their peers on strategic IT subjects. The ISIS Papyrus Executives will present four short presentations including different perspectives of important current and future IT topics and how you can leverage more of your current Papyrus investment. This will lead into a moderated, interactive communication exchange and later open discussion. There‘s a lot of excitement about Artificial Intelligence and business automation these days. The vision is to free humans from performing mundane and repetitive business tasks and assist them with better access to better information to better serve customers and the business. As a result, it seems like just about every technology product now has the artificial intelligence “label” attached to it. For C-suite executives and technologists today, the challenge is to move beyond the hype to use machine learning and automation in ways that make a real difference in the performance of the organization. Every organization wants to increase agility and productivity by extracting maximum value from its processes and content. Organizations need to bridge the silos created by disparate lead applications to seamlessly pull structured and unstructured information together and present a 360 degree view of the customer CASE to the knowledge workers who need it. Integration with inbound and outbound mail channels and easy access to ALL documents and digital content is a key requirement in fully leveraging a CRM system. From Physical to Digital: Shall the Business take ownership of document applications? Business is still using Microsoft Word or some other manual process to create customer letters. They are waiting weeks or months for a simple one-word change to an important customer document template because IT is the only one that can make the change and they are backlogged with other high-priority projects. Current business systems are limited to print-only, but your customers want to receive their communications via e-mail, fax, text messages, mobile or the Web. But your web, mobile, email, and print customer communications teams and tools have historically been separate and silo’d. Coordinating and leveraging the best of document designer and delivery with physical and Web technologies has great potential to improve customer engagement, increase profitability, and mitigate risk. Discussion: Shall the Business take ownership of document applications? Packed with new ideas and inspiration we return home to put this into action. Communication with your customers spans across all areas of business activity. This means managing multiple inbound and outbound channels and integrating data from multiple business applications. Content becomes an essential part of the context in customer engagement. You are cordially invited to join us on a guided tour through the 'Worldmuseum Vienna.’ With its oldest exhibits acquired in the 16th century, the museum presents itself as an avenue for connecting cultures and people. Worldmuseum Vienna interprets the diverse historical ties between Austria and the world in its collections from around the globe. After this social event, we will enjoy a delicious seated gala dinner in the grand hall of columns together with our guests. We kindly ask for your registration. A private bus shuttle will take guests from all conference hotels “Babenbergerhof,” “Eventhotel Pyramide” and "Rainers21" to the event. The bus shuttle will depart the hotels at 5pm and return around midnight. Sessions will be held in English and German. ISIS Papyrus will provide lunch on both conference days at the Papyrus Software Park. Participation at the Open House and User Conference and the Management Circle Seminar is free of charge. Registration is required. The local currency is the Euro. Most leading credit cards are accepted. From Vienna International Airport you can take a taxi or rental car to get to the Papyrus Software Park and our conference hotels. The trip takes about 30 minutes. Airport taxi service starts at € 33. In general coming from the airport on the Autobahn, follow the signs to Graz on A4, change to S1, then to A21 and take Exit 36 ‘Brunn am Gebirge’ or coming from the West Autobahn A1, change to A23 and take Exit 36 ‘Brunn am Gebirge’. The Hotel Babenbergerhof is located close to the ISCC in Mödling, on the outskirts of Vienna. The Eventhotel Pyramide is located close to the ISCC and 30 minutes from Vienna’s city center by train. Rainers21 is located at Campus 21 within 10 walking minutes from the conference. On Monday and Tuesday mornings, a shuttle bus will bring guests from the hotels to the conference in Brunn am Gebirge.